Members, prospective members, please come on out! Is Your Home Wifi System Secure? Even in the country, we need to be aware of our wifi set-up and make sure our system is set up securely. What is a home wireless network? In a few simple words, a basic home wireless network means connecting an Internet access point, such as a cable from your Internet Service Provider, to a (wireless) router in order to allow multiple devices to connect to the network very quickly. In many cases, once a Wireless router has been installed, we find a place in our home for it and forget about it. As long as all our devices are set up and connected via the Wi-fi network, that’s all that matters, right? Wrong! Probably many of you don’t realize, but the Internet router is one of the most important devices in our home. It’s the gateway to our Internet access and also prone to exploits by cybercriminals who can sneak into our devices and get access to our system. Let’s not forget that we live in the age of data breaches, ransomware attacks, and many other online threats. Thus, you should be worried about the security of your home network and take all the needed security measures to increase Wifi security. The only measure most people use to protect their home network is to set up a password and prevent neighbors and other people from taking control over your data. But we have to be more serious about security and do more than just setting a simple password. A serious risk is that an online criminal might exploit your poor Wi-fi security measures and “listen” to your traffic in order to retrieve sensitive information or take advantage of your network to launch malicious attacks such as Man-in-the-Middle attacks, network sniffing or data theft. Though relatively easy to use and access, Wi-Fi networks are not always SECURE networks. Wi-fi comes with lots of security issues, and it’s worth reminding about the Krack vulnerability found in the Wireless Protected Access II (WPA2) protocol which affected all devices connected via Wi-fi. For this reason, learning how to secure your wireless home network against cybercriminals is a wise and smart move. Given how many Internet of Things devices you may own, making sure your network is extra safe carries even more weight, even though sometimes taking care of your cybersecurity can be a tedious but necessary task. In this article, you will learn how you can better secure your home network and decrease chances of getting your valuable data compromised. If you want to better secure your home network, the first thing you should do is to change the name of your Wi-Fi network, also known as the SSID (Service Set Identifier). While giving your Wi-Fi a somewhat provocative name such as “Can’t hack this” may backfire at times, other names such as “this is not a wifi” or “too fly for a wifi” are perfectly acceptable. Changing your Wi-Fi’s default name makes it harder for malicious attackers to know what type of router you have. If a cybercriminal knows the manufacturer name of your router, they will know what vulnerabilities that model has and then try to exploit them. We strongly advise not to call your home network something like “John’s Wi-Fi”. You don’t want them to know at first glance which wireless network is yours when there are probably three or four other neighboring Wi-Fis. Also, remember that disclosing too much personal information on a wireless network name may expose you to an identity theft operation. You probably know that every wireless router comes pre-set with a default username and password, which is needed in the first place to install and connect your router. The worst part: it’s easy for hackers to guess it, especially if they know the manufacturer. So, make sure you change them both immediately. A good wireless password should be at least 20 characters long and include numbers, letters, and various symbols. Use a strong password for your network. Friends coming over for a visit may complain about the unusual length of your password, but this might discourage them from needlessly consuming your data with boring Facebook or Instagram posts. Wireless networks come with multiple encryption languages, such as WEP, WPA or WPA2. To better understand this terminology, WPA2 stands for Wi-Fi Protected Access 2 and is both a security protocol and a current standard in the industry (WPA2 networks are almost everywhere) and encrypts traffic on Wi-Fi networks. It also replaces the older and less secure WEP (Wired Equivalent Privacy), and is an upgrade of the original WPA (Wi-Fi Protected Access) technology. Since 2006, all Wi-Fi certified products should use WPA2 security. WPA2 AES is also a standard security system now, so all wireless networks are compatible with it. If you are using a TP-Link wireless router, here’s how to secure your wireless network. The good news is that the WPA3 is already here and will replace WPA2. The Wi-Fi Alliance recently announced its next-generation wireless network security standard which aims to solve a common security issue: open Wi-Fi networks. More than that, it comes with security enhancements and includes a suite of features to simplify Wi-fi security configuration for users and service providers. In order to secure your network, we strongly recommend you to disable the wireless home network, in case of extended periods of non use. You should do the same thing with all your devices that are using Ethernet cables or when you won’t be at home. By doing this, you are closing any windows of opportunity malicious hackers might attempt to get access to it while you are away. Security reasons – Turning off your network devices, it minimizes the chances of becoming a target for hackers. Noise reduction – Although the modern home networks are much quieter these days, disabling your wireless home network can add calmness to your home. Step 5. Where is the router located in your home? You probably haven’t thought about this in the first, but where is your Wi-Fi place in your home can also have an impact on your security. Place the wireless router as close as possible to the middle of your house. Why? First of all, it will provide equal access to the Internet to all the rooms in your home. Secondly, you don’t want to have your wireless signal range reach too much outside your home, where it can be easily intercepted by malicious persons. For this reason, we recommend not to place your wireless router close to a window since there’s nothing to block the signal going outside your home. To set up your wireless router, you usually need to access an online platform or site, where you can make several changes to your network settings. Most Wi-fi routers come with default credentials such as “admin” and “password” which are such an easy for malicious hackers to break into. Did you know that the number of wireless networks has increased dramatically over the last 8 years? In 2010 there were 20 million Wi-Fi networks around the globe, and in 8 years, that number increased to 400 million. Smartphones, laptops, tablets and other devices have driven this growth, and because of how expensive data plans are, most people choose to connect their device to wireless Internet connections. Changing the default IP address to a less common one is another thing you should consider doing to better secure your home network and make it more difficult for hackers to track it. Change the IP address to preference, then click Save. Note: After you’ve changed the IP address, you’ll need to type the new IP address into the web browser bar. You can also change the DNS server that your Wireless router is using to filter the Internet traffic. To enhance the wireless network security, you should turn off the Dynamic Host Configuration Protocol (DHCP) server in your router which is what IP addresses are assigned to each device on a network. Instead, you should make use of a static address and enter your network settings. This means that you should enter into your device and assign it an IP address that is suitable to your router. 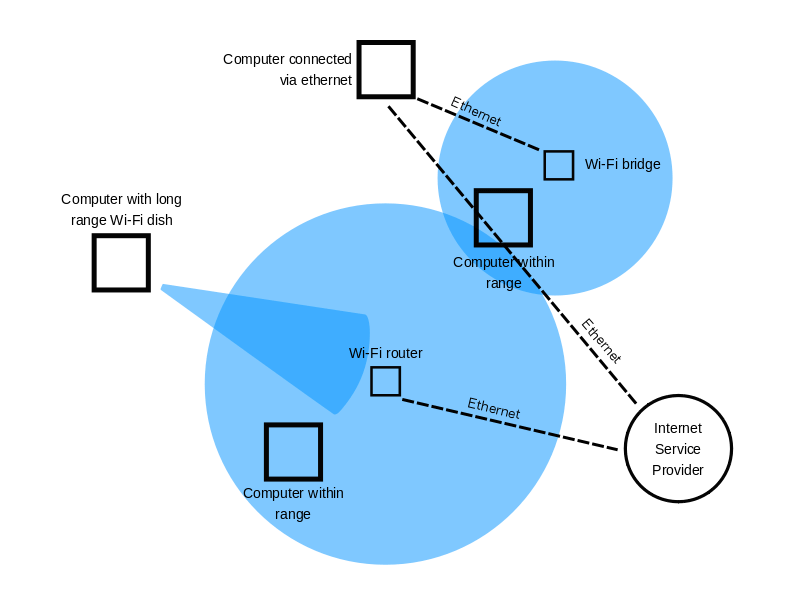 Most routers allow you to access their interface only from a connected device. However, some of them allow access even from remote systems. Once you turned off the remote access, malicious actors won’t be able to access your router’s privacy settings from a device not connected to your wireless network. To make this change, access the web interface and search for “Remote access” or “Remote Administration“. The software is an essential part of your wireless network security. The wireless router’s firmware, like any other software, contains flaws which can become major vulnerabilities and be ruthlessly exploited by hackers. Unfortunately, many wireless routers don’t come with the option to auto-update their software, so you have to go through the hassle of doing this manually. And even for those Wi-Fi networks that can auto-update, it still requires you to switch on this setting. But, we remind you about the importance of software patching and how neglecting to do this can leave open doors for cybercriminals to exploit various vulnerabilities. Firewalls aren’t just software programs used on your PC, they also come in the hardware variety. A hardware firewall does pretty much the same thing as a software one, but its biggest advantage is that it adds one extra layer of security. The best part about hardware firewalls is that most of the best wireless routers have a built-in firewall that should protect your network from potential cyber attacks. If your router doesn’t have one, you can install a good firewall device to your router in order to protect your system from malicious hacking attempts against your home network. Important: Do not leave any exposed vulnerabilities for online criminals to pick on! Even though you’ve increased protection for your router and home network, you need to make sure you don’t have any security holes that can be exploited by online criminals. Always apply the latest security patches to ensure no security hole is left open to malicious actors. check which devices connect most often to your home network and make sure they have antivirus and/or an anti-malware security software installed. Securing the home network should be a top priority for each of us interested in keeping the data safe and secure. These steps can be really useful even for the non-tech savvy person to apply. Also, do not forget that your wireless network security can be sometimes weak, and prone to exploits. It almost doesn’t matter how strong your password is or if your software is up to date if cybercriminals can just hijack your Wi-Fi data. So this is why we’ve written this guide on how to secure a wireless network. You still have to keep an eye out for insecure Wi-Fi routers out there, however, since most will probably still use WEP and not follow these safety procedures. What is The Wise Owls Program? For a presentation in your area, contact the Grande Prairie District Rural Crime Watch at info@gpcrimewatch.ca. Costs are covered by the Alberta Rural Crime Watch Association. A 19-year-old caught trying to steal a truck was Tasered by Edmonton police in a dramatic arrest captured two Facebook videos. The man now faces several criminal charges. The videos have been viewed more than 900,000 times since they were posted Monday. The arrest happened around 4 p.m. Monday in a parking lot outside a Subway restaurant at 172nd Street and Stony Plain Road. The first video showed a parked Chevrolet Avalanche with five men standing around it, two at the passenger door and three at the driver’s door. One man said the truck belonged to him. The suspect was inside the truck, trying to start the engine. One onlooker was on the phone with police, giving a description of the suspect. The second video showed the suspect still inside the truck as Edmonton police officers ordered him to get him out. Police eventually broke the driver’s window. One officer could be heard saying, “Drop the f–king knife!” just before the sound of a stun gun being deployed. At that point, a man shouted and groaned in pain. The suspect eventually opened the driver’s door and police took him to the ground. One officer kicked away what appeared to be a knife that had fallen out of the truck. While all that was going on, a red car pulled up. A woman got out, saying the suspect was her brother. She could be heard saying “Don’t resist,” to the suspect. The videos were posted by Greg Johnson, who described the scene on his Facebook page. “Having a bite at Subway and the owner says to me, ‘I can’t believe someone is trying to steal my truck,’ ” Johnson wrote. Johnson said he provided his video evidence to police, who thanked him for it. Officers tried to talk the suspect out of the truck before they broke the driver’s window, Maran said in an emailed statement. “The male continued to resist arrest and a conducted-energy weapon was used to take him into custody,” she said. Police think the man was under the influence of drugs. Emergency Medical Services treated him on scene before transporting him to hospital with non-life-threatening injuries, Maran said. The man was later released into police custody. Police said the man had three edged weapons and firearm ammunition. Court records show the suspect faces seven charges, including attempted theft of a motor vehicle, possession of a weapon dangerous to the public, possession of break and enter tools, possession of a controlled substance and obstructing a police officer. Maran said the Edmonton Police Service thinks the officers’ actions during the arrest were appropriate. Currently, the Edmonton Police Service receives approximately 1500 reports of missing persons per year. We recognize the need to investigate missing persons reports in an efficient and effective manner.Prior to reporting a missing person the following steps must be completed. The primary question when determining if a person is missing or not is: Is this out of character for this individual? To ensure all cases are handled appropriately and ensure the continuity of the risk assessment, all missing persons must be reported to your local police. Each case will then involve a risk assessment where a series of questions will identify the nature and urgency of the missing persons case. If the person is deemed missing and depending on the urgency, a police member will be dispatched or the file will then be forwarded to Missing Persons Unit where the case will be further investigated. Please note, inquiries through email cannot be submitted for investigations nor will Missing Persons Unit search for long lost relatives. The federal government introduced legislation to legalize cannabis by July 2018. Alberta can decide how it will adapt to this legislation. Bill 26: An Act to Control and Regulate Cannabis has passed to empower elements of the framework through legislation, which are largely in the form of amendments to the Gaming and Liquor Act. Provide authority for the Alberta Gaming and Liquor Commission to carry out oversight and compliance functions as well as manage the distribution of cannabis. Establish the authority to carry out public online sales, and to license privately owned and operated cannabis stores with strong oversight and provincewide rules. Establish provincial offences related to youth possession, public consumption and consumption of cannabis in vehicles. Details on private cannabis retail, including the process and requirements for obtaining a licence, are expected in the new year. From June 2 to October 27, 2017, we held extensive public and stakeholder engagement so Albertans could share their thoughts, questions, expertise and ideas about cannabis. More than 60,000 Albertans shared their input through two online surveys and in hundreds of written submissions. We also conducted additional public opinion research to ensure we heard from people across the province. Please note: Details on the process and requirements for licensing private cannabis retail is expected in the new year. Is it Legal to Shoot an Intruder in Canada? “Get off my property or I’ll shoot” is a phrase one might hear in a Spaghetti Western. It’s a phrase that one may well be permitted to utter in real life if a trespasser is on your property trying to steal your car. However, following through on that threat and killing the trespasser is likely to land you in police custody, facing a charge of murder. But what if shots are actually fired? Historically, courts in Canada — unlike their counterparts south of the border — have not extended defence of property principles to excuse shooting a thief, whether or not death ensues. In order to justify that type of excessive response, there must be more than just the threat of a loss of property involved. Did the thief, when first confronted, aggressively attempt to attack the homeowner? Did the thief himself reach for or display a weapon? Did the homeowner, in addition to the possible loss of property, honestly believe he or she was also in grave danger? Every case is obviously different, but these are the types of factors that might justify the homeowner’s use of deadly force. Many Canadians will likely feel a great deal of sympathy for Peter Khill, the man charged with murder for allegedly shooting that suspected car thief. Some may say they would have done exactly the same thing. Undoubtedly, some will say the thief deserved it. However, for Mr. Khill’s sake, I hope the evidence demonstrates that something other than the mere theft of the truck was occurring. Perhaps, Mr. Khill had a basis to fear for his own safety, leading to his alleged use of deadly force. Otherwise, regardless of our sympathy, Mr. Khill faces a life sentence, the automatic penalty for second degree murder (he would be eligible for parole after 10 years). While this may seem harsh to some, it’s worth remembering a lesson from another Hamilton area case — the death of Tim Bosma — that no life is worth “a stupid truck”. Successful crime prevention takes the entire community to become engaged. 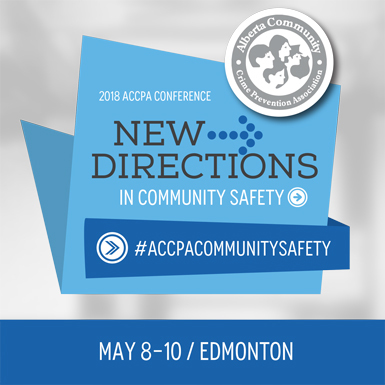 ACCPA is the hub for Alberta to share best practices in crime prevention between community members & organizations, government and law enforcement. 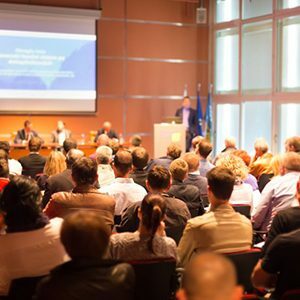 This years’ conference will bring together ACCPA members, partners and experts, many of whom are engaged in crime prevention initiatives across Alberta, with a focus on how we can come together as a group and collaborate to help prevent crime in Alberta. Alberta Community Crime Prevention Association was established in 1989 as the Alberta Community Police Advisory Committee by provincial Police Services as a means to discuss mutual crime related issues within communities/police/government. In 1990 it became the Alberta Community Crime Prevention Association (ACCPA). Being a brick-and-mortar retailer these days is challenging enough, especially with competition from eCommerce sites. The last thing you need is to worry about losing sales to shoplifters. But according to Sennco Solutions, more than $35 million worth of retail products are stolen every day. That adds up to $13 billion a year. There are two types of shoplifting. Organized retail theft is the work of shoplifting rings that resell the items; they typically target bigger retailers. Small retail stores are more likely to be the target of opportunistic shoplifters, people who don’t walk in planning to steal something, but spot an opportunity and decide to grab an item. By some estimates, nearly three-fourths of shoplifting events fall into this unplanned category. How can you protect your store from shoplifters of both kinds? Try these tips. Products that are easy to conceal and sneak out are popular targets. So are “impulse” buys. Clothing and accessories, cosmetics, CDs, DVDs, and small electronics or electronics accessories (like smartphone cases) are common targets for theft. If you have high shelves or secluded corners, use convex mirrors that allow you to see these “hidden” areas from the cash register. Merchandise these areas with products that are bulky and hard to steal. Consider putting valuable items in locked cases so that customers need the help of a salesperson to access them. Place your checkout counter near the middle front of the store so it’s centrally located — and so customers have to pass by while leaving. Installing mirrors or security cameras (even fake security cameras) can convince thieves to go elsewhere or scare opportunistic shoplifters out of acting. You can also post signs saying that the store is protected by security cameras. Even if customers can’t see the cameras, they will likely think they are hidden or disguised. Have employees watch for suspicious packages, large bags or customers wearing bulky coats (especially in warm weather.) These are often used to smuggle products out of a store. You may want to ask shoppers with large bags to check them at the register. Put locks on dressing room doors so customers can’t enter without help from an employee. Have employees count items when customers enter and again when they leave. Hire adequate staff. A common tactic among retail theft rings is for one thief to distract the sales clerk while another thief stuffs a bag with products. If you don’t have enough employees on the floor, you’re setting the stage for shoplifting. As you take advantage of these ways to prevent shoplifting, remember that you want your store to be a welcoming place to visit. Friendly staff who greet customers, stroll around, chat and offer assistance with a smile can do more to prevent shoplifting than any security system. Automated Licence Plate Recognition (ALPR) technology is used for law enforcement and other purposes. In British Columbia, police agencies use ALPR to remove unlawful drivers from the road and to identify Motor Vehicle Act infractions and criminal activity that may otherwise go undetected. B.C. RCMP Traffic Services manages and delivers the ALPR program for all police agencies using the technology in B.C. The ALPR program was started in B.C. as a pilot project of the RCMP and Police Services Division Road Safety Unit. ALPR supports auto crime reduction, and identifies unlicenced or uninsured drivers as well as drivers prohibited or suspended under the Motor Vehicle Act or Criminal Code. These drivers pose a significant risk to the public as they are disproportionally represented in serious collisions. The ALPR system uses infrared colour cameras and special software to read licence plates at a rate of up to 3,000 per hour. The cameras are mounted on police vehicles and scan licence plates on parked or moving vehicles. The scans are compared with the ALPR hot list, which is generated daily from Insurance Corporation of B.C. (ICBC) and Canadian Police Information Centre (CPIC) databases. The secure hot list is loaded into ALPR-equipped police vehicles at the start of each shift. There is no real-time access to ICBC or CPIC drivers’ databases. A sound will alert the police officer if a scan results in a hit. The police officer must then confirm the hit against the live ICBC and CPIC databases. If the hit is confirmed, the officer responds as appropriate. In the case of a hit, ALPR records the image of the vehicle, as well as its plate number, the date, time and GPS coordinates of the vehicle and the type of hit. The police officer will record what action was taken. No distinguishing features of vehicle occupants can be seen in 98% of the pictures taken because the camera focuses on the plate. When a licence plate scan does not yield a hit, data about the plate is deleted from the ALPR system at the end of the officer’s shift. The only data that are saved are the date, time and GPS coordinates, which are kept for statistical purposes.